The Spoken Tutorial project is the initiative of the ‘Talk to a Teacher’ activity of the National Mission on Education through Information and Communication Technology (ICT), launched by the Ministry of Human Resources and Development, Government of India. The use of spoken tutorials to popularize software development and its use will be coordinated through this website. (The Spoken Tutorial project is being developed by IIT Bombay for MHRD, Government of India) it is officially launched on January 26, 2010. www.spoken-tutorial.org is the official website of Spoken Tutorial Project. As we know that seeing and hearing someone has great impact on explaining a process greatly improves understanding. 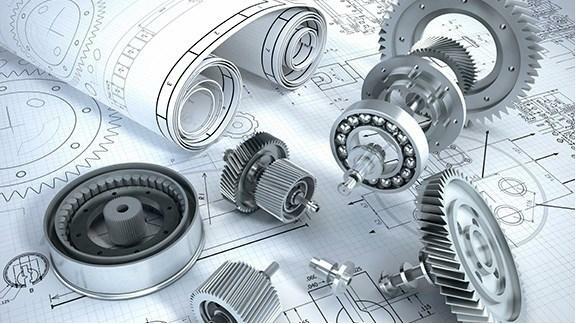 This can be achieved through top diploma college such as Pimpri Chinchwad Polytechnic, Pune which is Best Mechanical diploma engg college in pimpri chinchwad. On this site, you will find a variety of spoken tutorials that will help you to learn and use free open source software. Since this is a community based site, we welcome your contributions. Have a topic, script or video for a spoken tutorial? Upload them on our site. We are also promoting translations of these tutorials into different languages. Once your tutorials are reviewed by experts, they will be hosted on our site and will become part of the public domain, thus benefitting all who are interested in it. 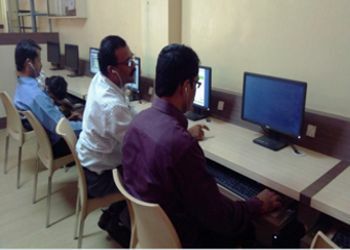 We also conduct software training workshops using spoken tutorials in Best Mechanical Diploma Engineering college in Pimpri Chinchwad and gave certificates to those who passes an online test. For more details, please write to contact [at] spoken-tutorial [dot] org. During session in Mechanical Dept. The Spoken Tutorial Project is about teaching and learning a particular FOSS (Free and Open Source Software) like Linux, Scilab, LaTeX, PHP & MySQL, Java, C/C++, LibreOffice etc. via an easy Video tool - Spoken Tutorials. Some of the salient features of SELF (Spoken Tutorial based Education and Learning through Free FOSS study in Best Mechanical diploma Engineering college in Pimpri Chinchwad ) are as follows. 1. This distance education method is highly conducive to self-learning. 3. UG, PG or Research scholar students and even teachers of Science, IT, Engineering, Commerce, Management, MCA disciplines can learn any of the FOSS. 4. Typically, the first Training at any college is of 2 hours duration. Timing is per the group's convenience. 5. To start of, any college which is organising the Training needs to get a computer lab ready with machines that support sound. There is no lower or upper limit on the number of participants. This just depends on the number of computers available. For additional participants, laptops if available can be used. 6. Support from IIT Bombay is available over Skype, in such cases the main organiser's computer should have a webcam via which the Spoken Tutorial team can monitor the Training and answer questions. Plasma is used to cut materials like steel and other metals. In this machining plasma is formed by the heating the gas with the help of electric arc and melt the metal by high temp to perform machining. Now a days this process is combined and used with the CNC for the better accuracy. In many Fabrication plants uses this set up to cut the steel sheets at very faster rates. 7. If the participants wish to take the test they must do so a month after the Training. As a first step, the organiser typically a faculty member must register on the Spoken Tutorial site and become authorised to request and conduct training in his/her college. The organiser can also identify student volunteers to publicise and help with the Training. Students have a lot of energy and are very enthusiastic about such activities. Student volunteers get a special certificate, and a T-shirt! They also develop Event management and Project coordination skills. Faculty development program on spoken tutorial for the Mechanical Department staff. Any Staff/Officer/Faculty member can be an organizer of such as top mechanical engineering college. They make the first contact with the Spoken Tutorial team, IIT Bombay. Later it is important that a Faculty member/Staff/Officer/Teacher become in charge of organising the training. As mentioned Organisers need not know the Software to be taught in the Training / Workshop. The Organiser will arrange the computer lab and coordinate with students, say 20-30, could be more, and fix a date and timing for the first training. He/She will take care of all the prerequisites as per the checklist, for successful conduction of the Training. He/She will be in touch with the Spoken Tutorial team, IIT Bombay, on a regular basis to ensure that the training is successfully completed. It is mandated for almost all students in the college to get a chance to take the training. For this, the Organiser should identify Faculty from other departments to register and start requesting training sessions. Towards this he/she can involve the Principal or Director if necessary. The Organiser should also make a calendar or a time-table to arrange more batches in his own department. Any College / University such as Mechanical engg Diploma college in Pimpri Chinchwad which wishes to contribute towards IT literacy and awareness can become a RESOURCE (Robust Extensions for Spoken Tutorial project on Open Source Software Usage for Recruitment, Community and Education) Center. A RESOURCE Center can conduct remote SELF workshops in its college, for other colleges and can also train other colleges and schools in conducting Spoken Tutorial SELF training. It can identify SELF training Organisers in Polytechnic, ITI and degree colleges, in and around its district. A RESOURCE Center can create a team of students and faculty members who will work on In this way, the project can be spread and awareness created in the entire state. Additionally it is expected that the RESOURCE Center will train all its students as well incorporate the Software courses in the curriculum where relevant. These are universities and government bodies at state level such as DTE, CET, DET, DHE, VIT, DCE an so on. At their level and because they have a large circle of influence, such bodied can spread Spoken Tutorial based software training in a big way by Awareness - Circulars, Enabling - arranging training and appointing officers at regional/ zonal level, Monitoring - continuously motivating and urging the colleges to come forward and do the SELF Training on their campuses.